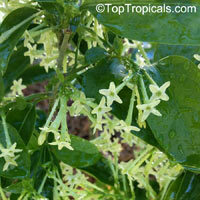 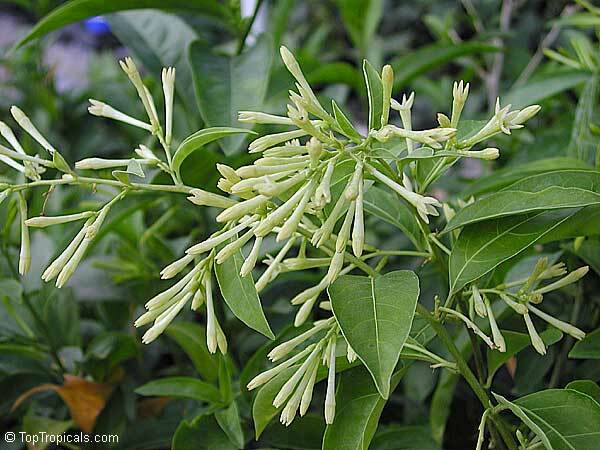 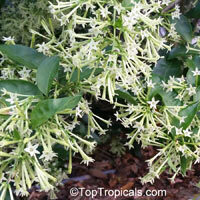 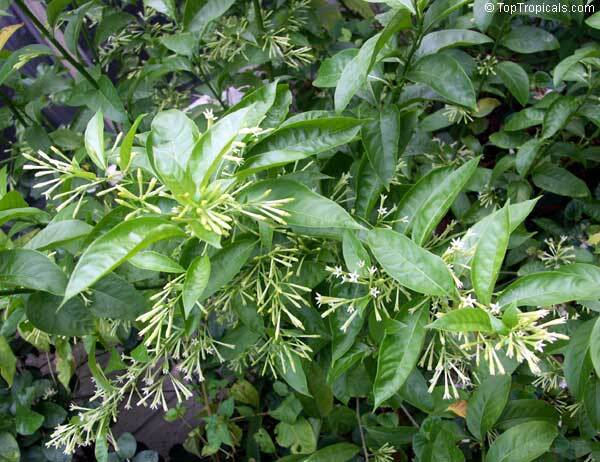 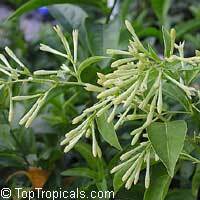 Night Blooming Jasmine is one of the most famous and desirable fragrant plants. 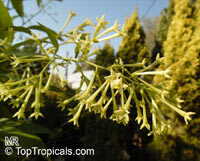 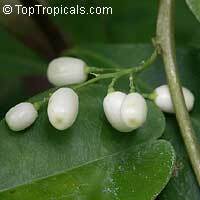 Flowers are pale yellow to white, open at night and stay extremely fragrant untill sunrise. 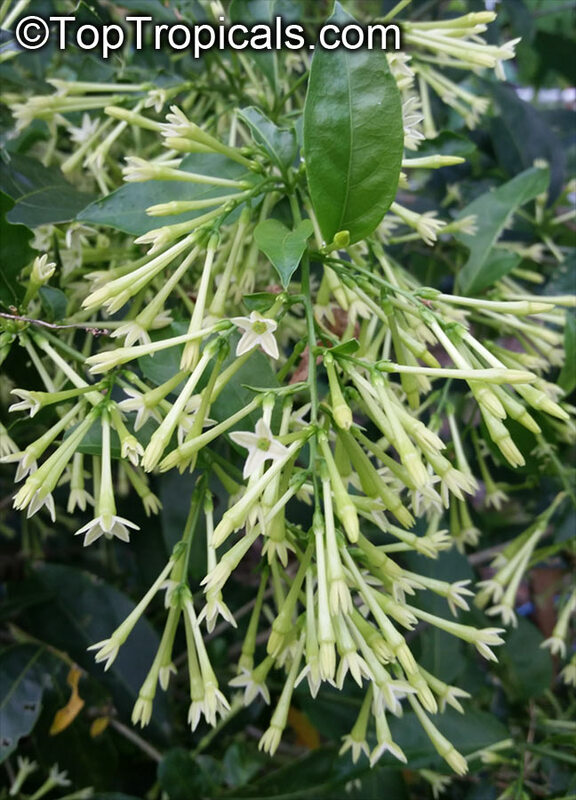 Aroma is sweet, pleasant and intoxicating. 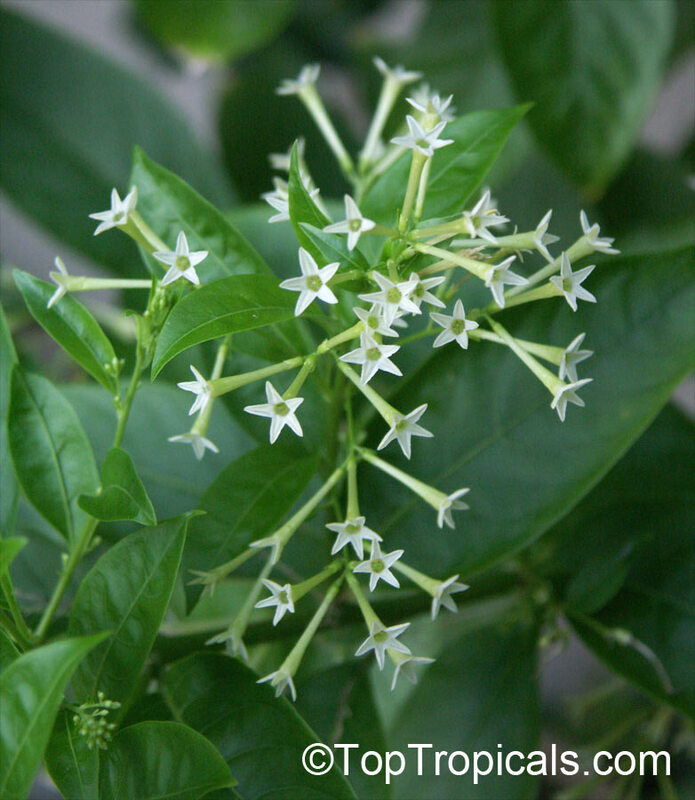 These flowers are widely used in India and other countries of South Asia for perfumery, medicinal applications and in religious ceremonies. 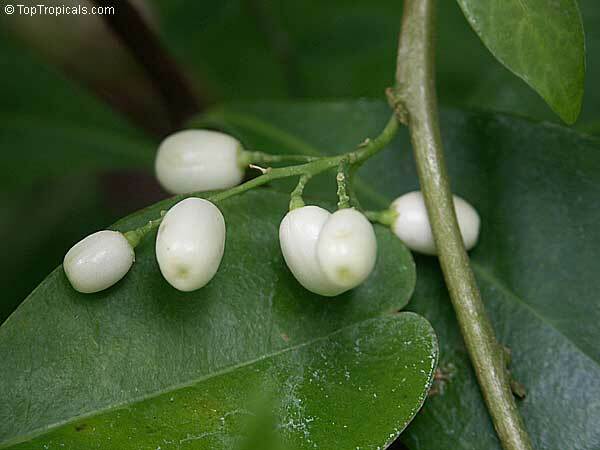 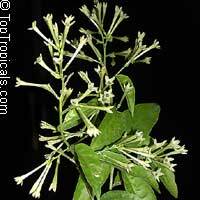 Some parts of the plant are poisonous. 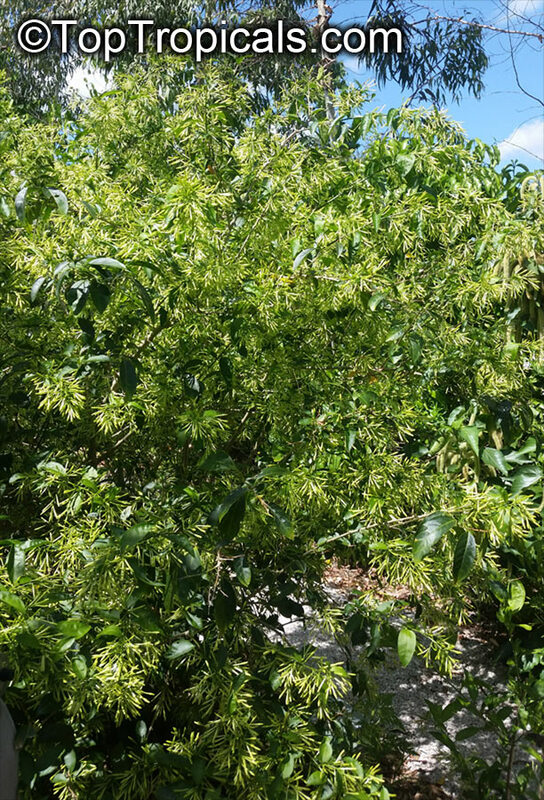 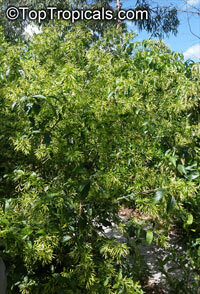 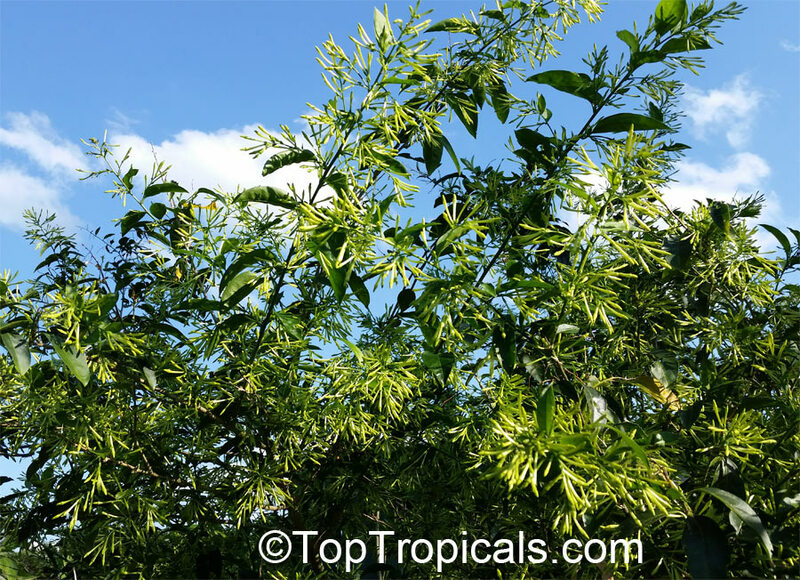 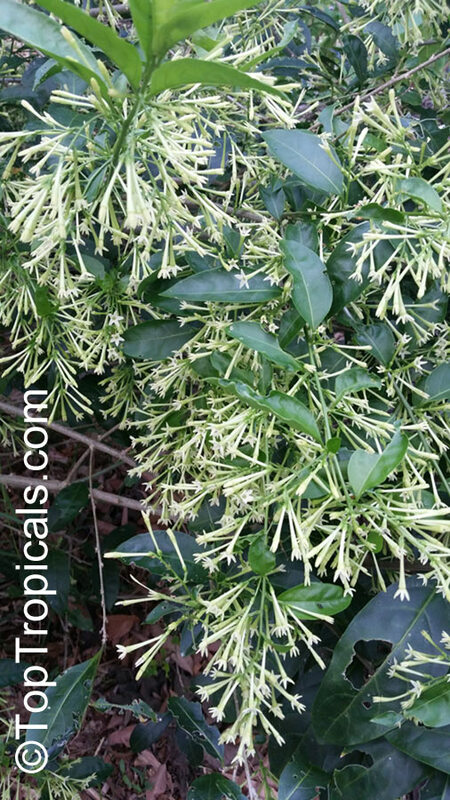 Growth habit: bushy shrub that can be trimmed as a hedge or forms nice round shape if you let it go. 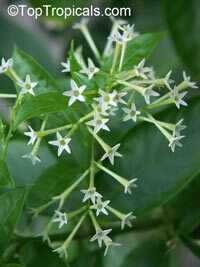 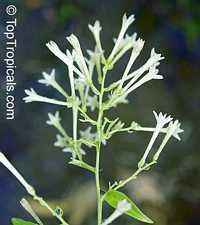 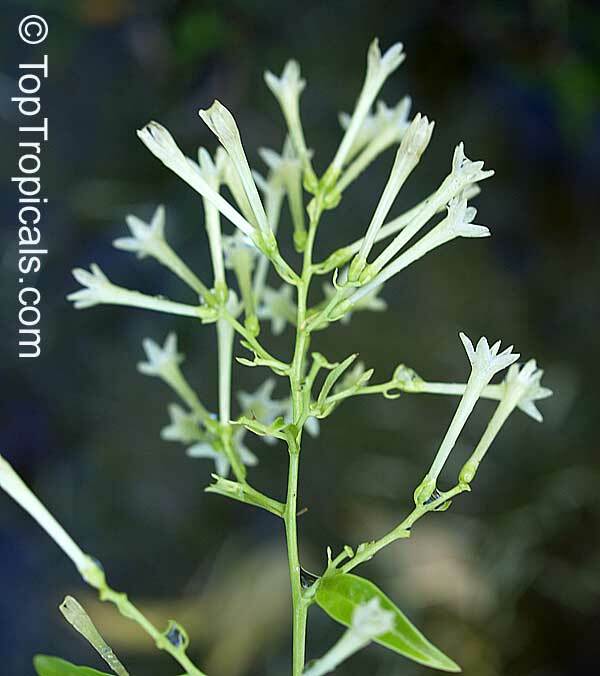 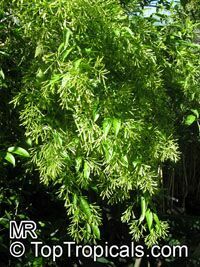 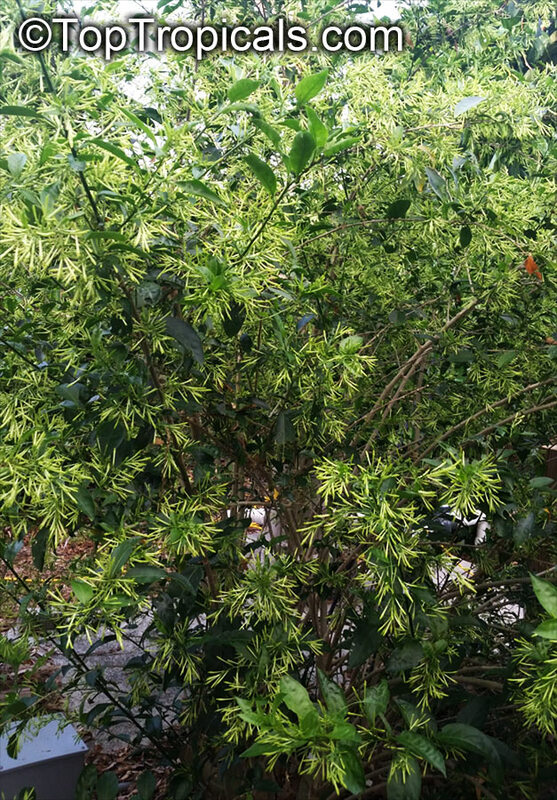 When you plant Night Blooming Jasmine, make sure to water it regularly until established. Best location will be near driveway, window or entrance, where the magic fragrance can be appreciated. 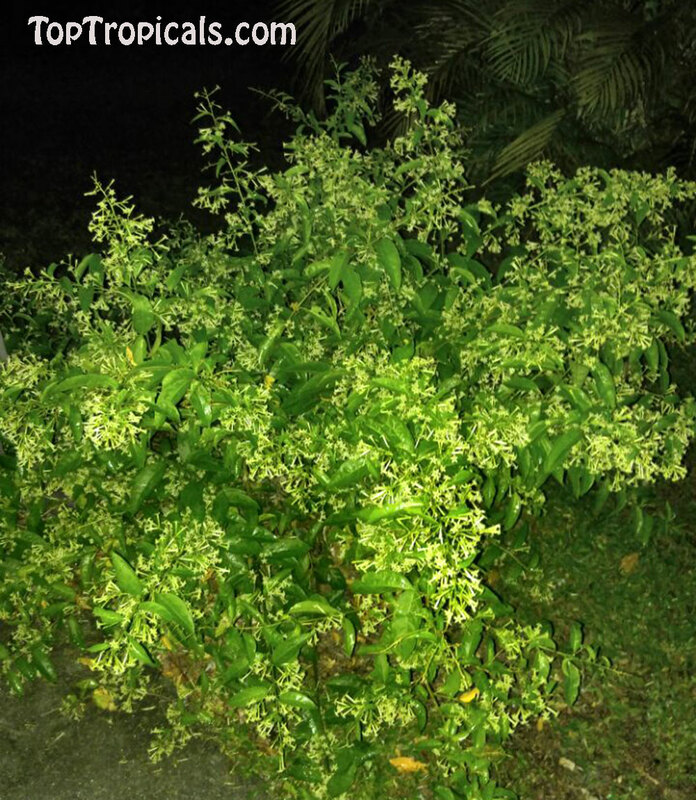 Night blooming jasmine. 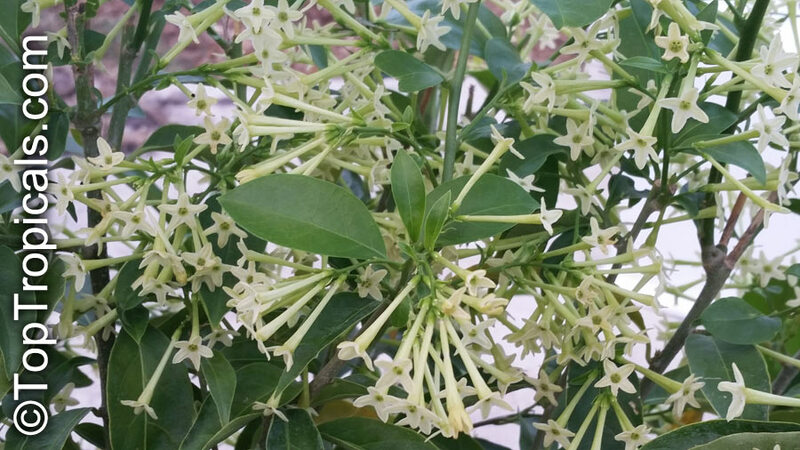 Garden favorite - the sweetest fragrance at night is intoxicating. 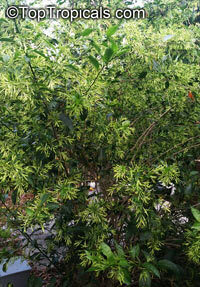 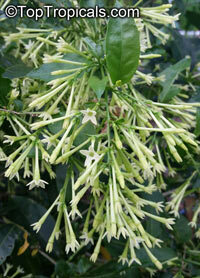 One of the most famous and desirable fragrant plants. Flowers are pale yellow to white, open at night and stay extremely fragrant until sunrise. 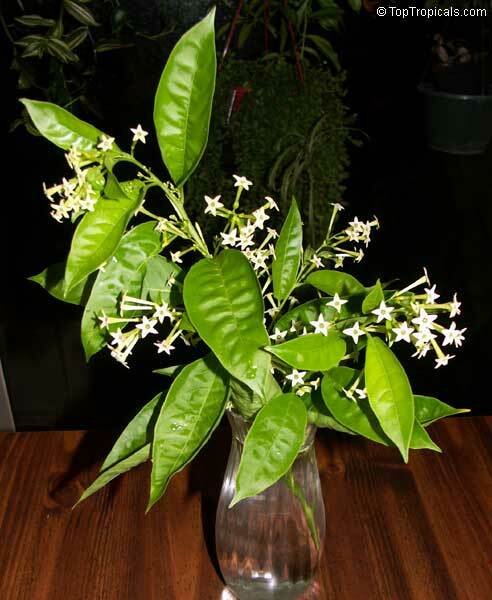 Aroma is sweet, pleasant and intoxicating. These flowers are widely used in India and other countries of South Asia for perfumery, medicinal applications and in religious ceremonies. 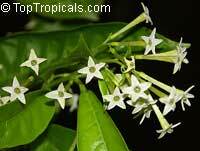 Best location will be near driveway, window or entrance, where the magic fragrance can be appreciated. 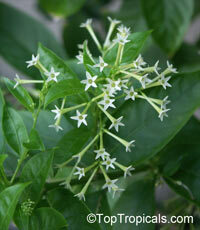 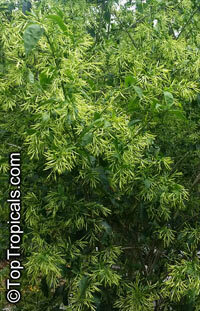 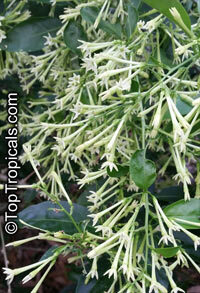 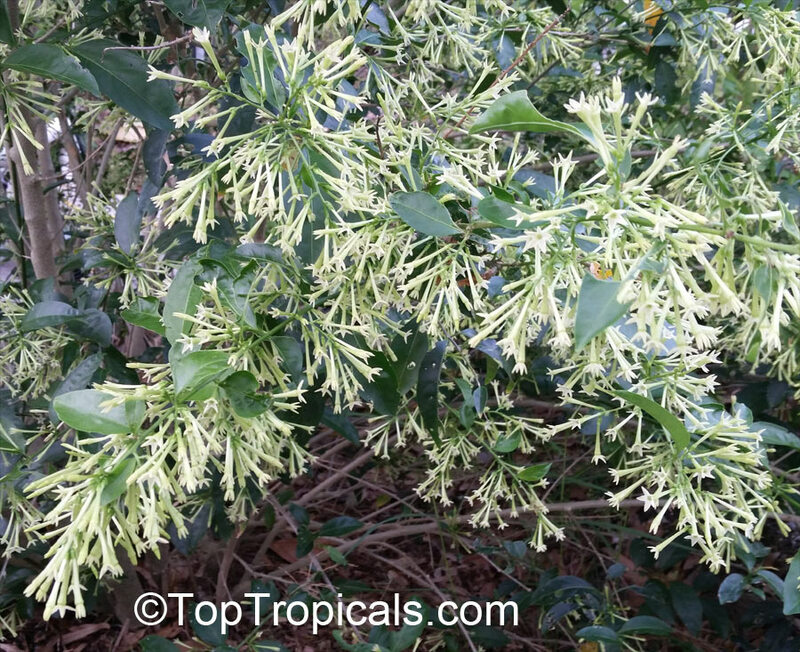 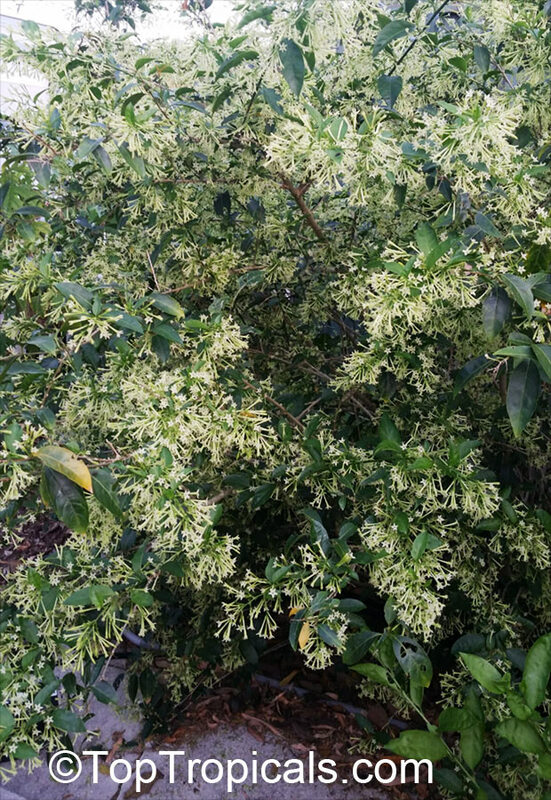 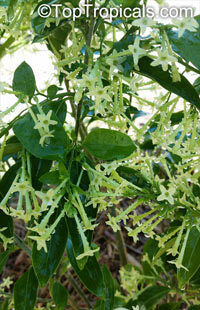 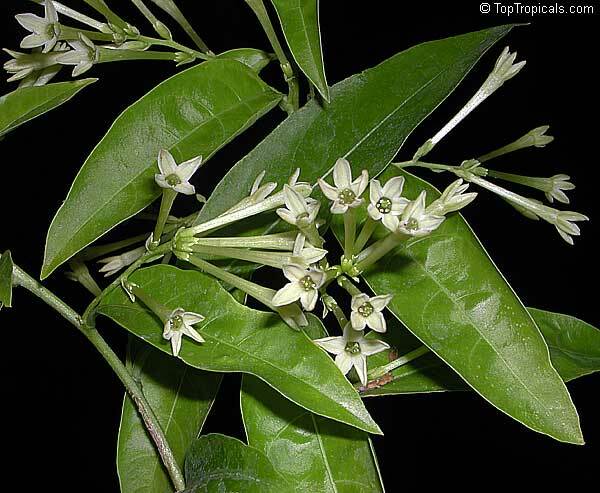 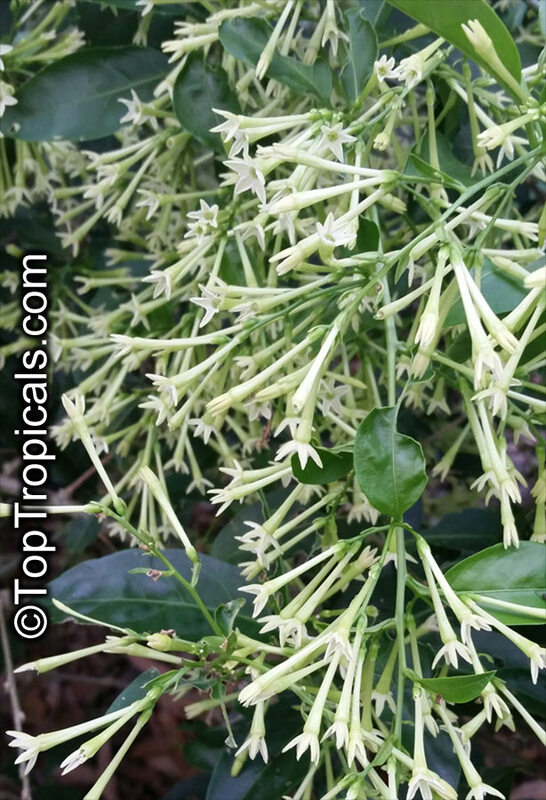 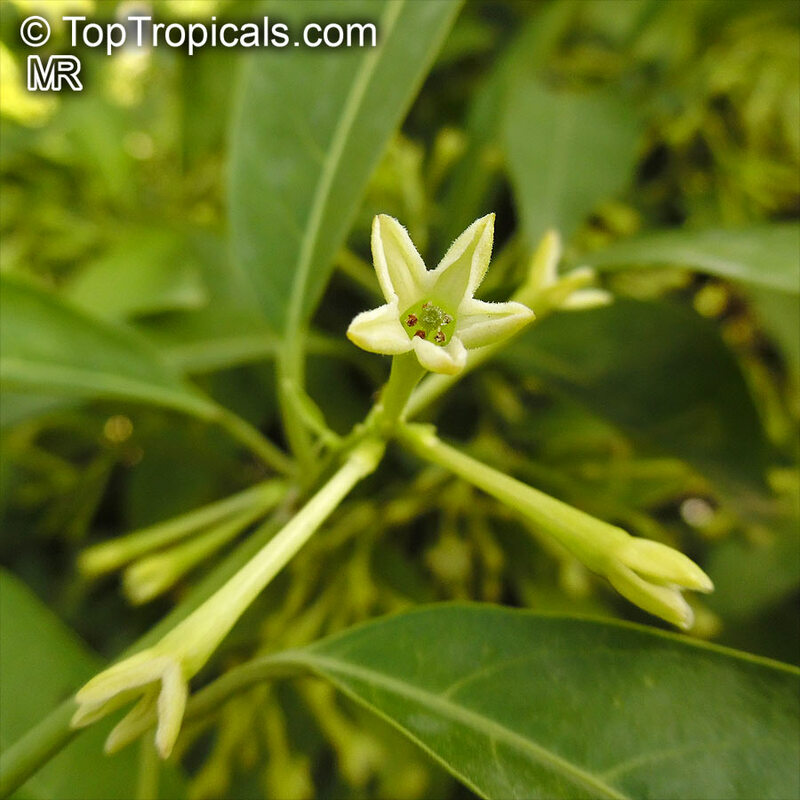 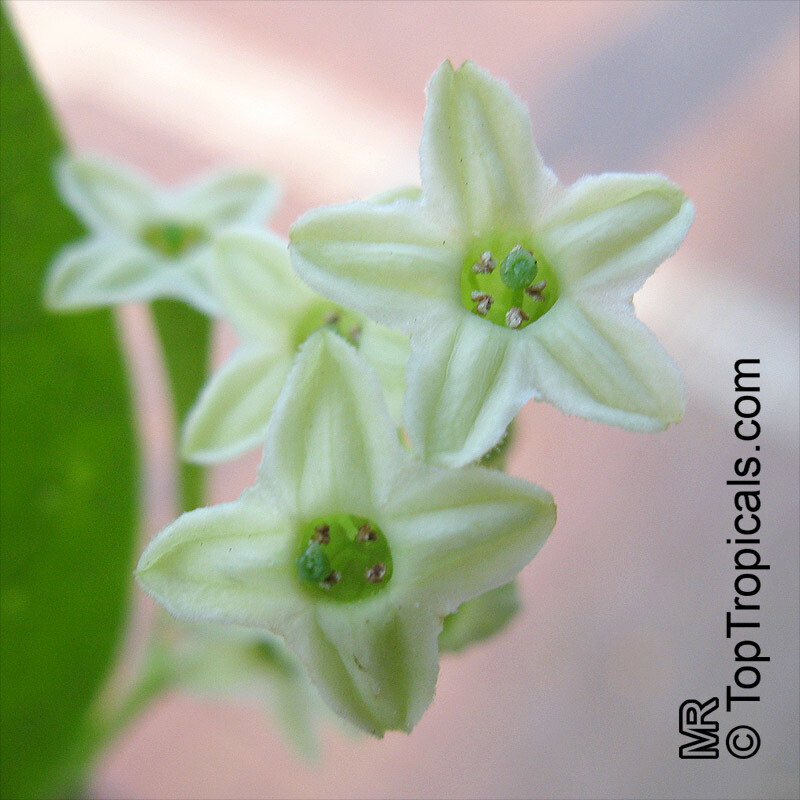 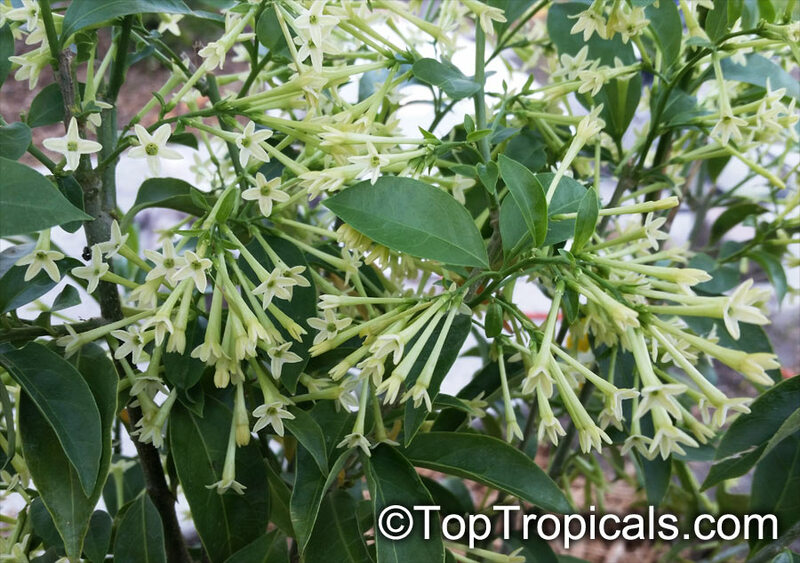 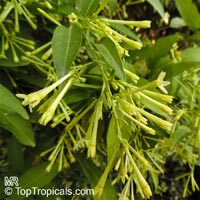 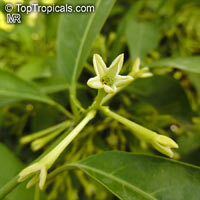 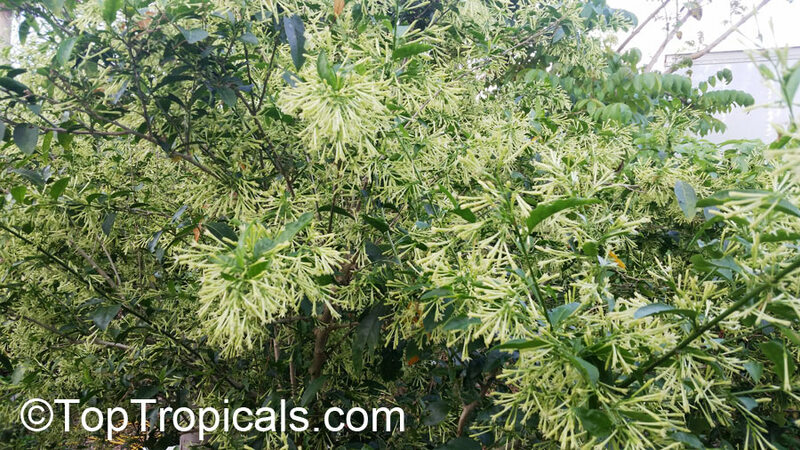 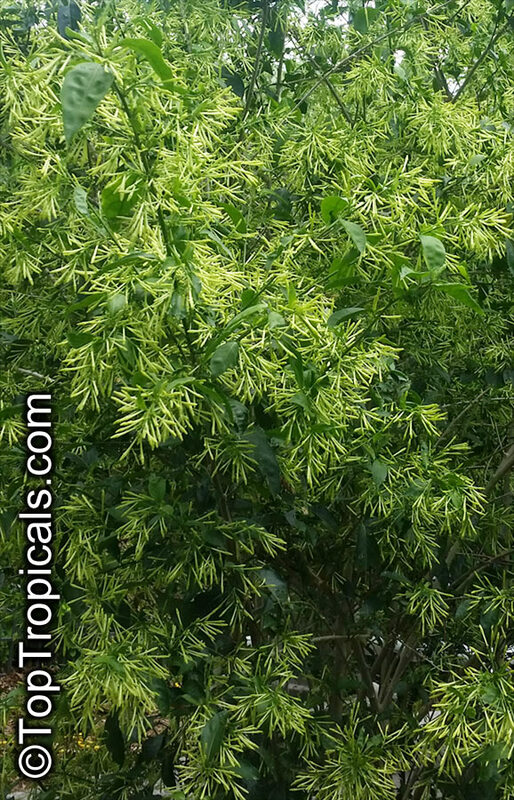 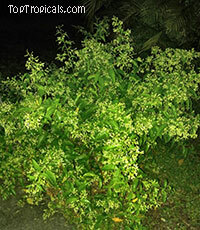 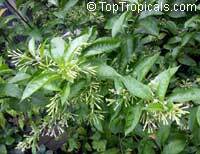 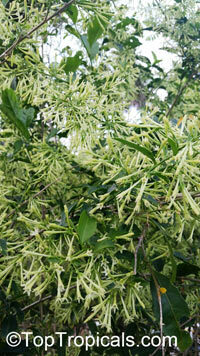 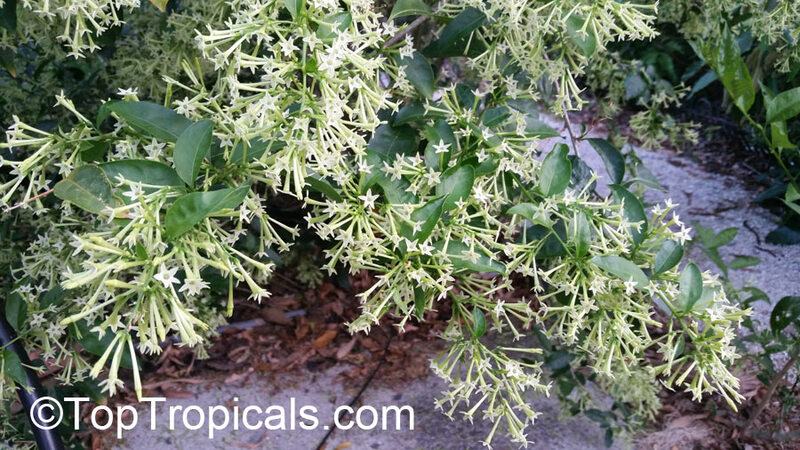 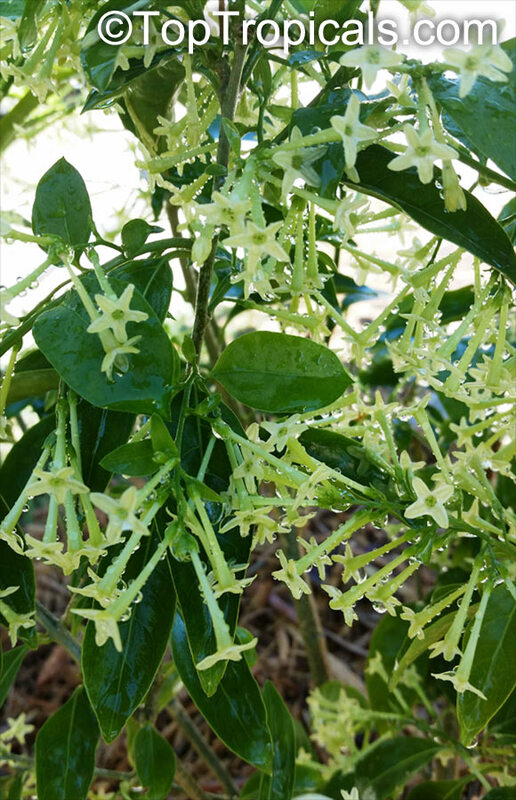 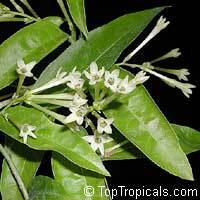 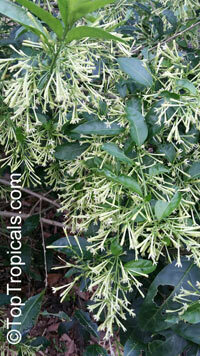 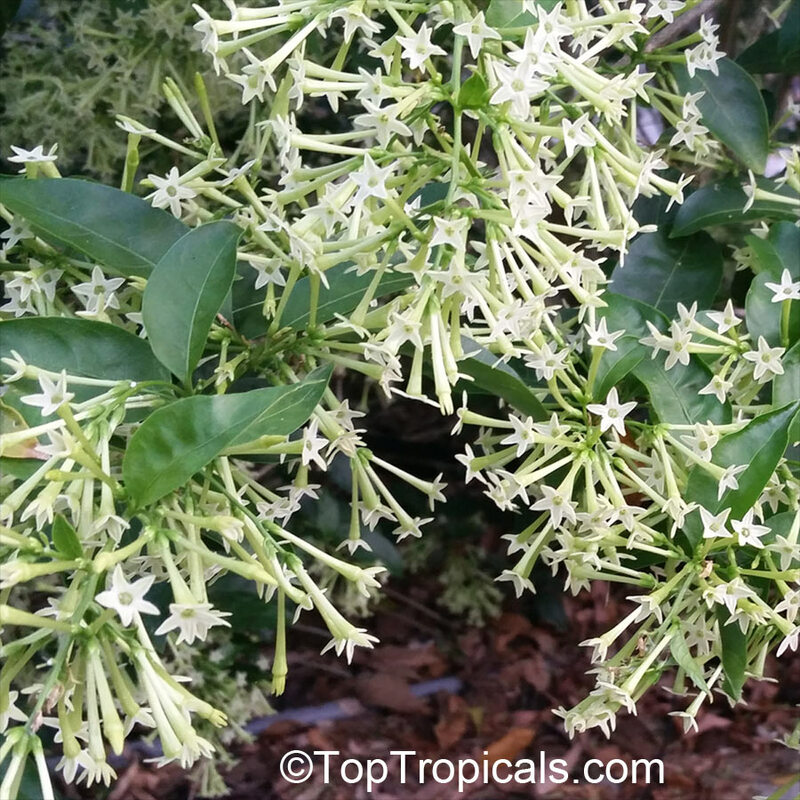 Cestrum nocturnum - Night blooming jasmine. Garden favorite - the sweetest fragrance at night is intoxicating. 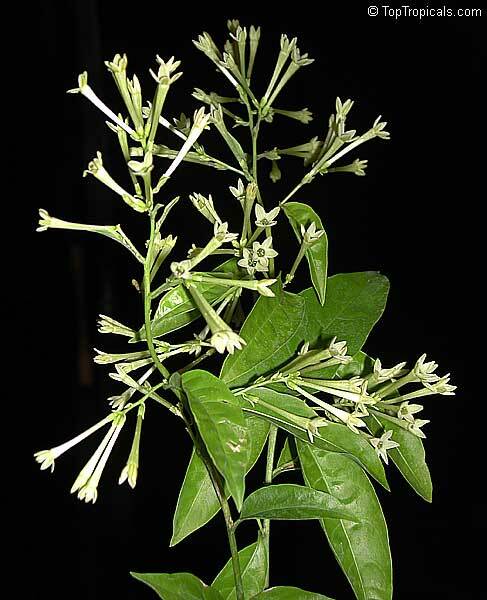 A night-blooming flower with a strong, sweet scent, this wonderful plant has close associations with human beings in a large number of cultures across the world.